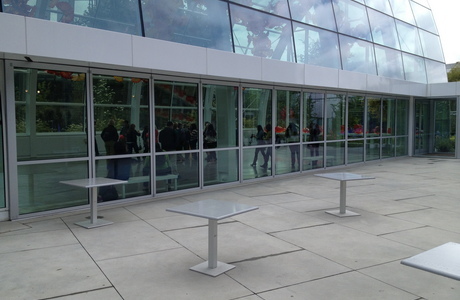 CORTE MADERA, Calif. May 21, 2013 - NanaWall Systems celebrates one year of its HSW60 single track sliding system being utilized within Seattle's Chihuly Garden and Glass. The center celebrated its first anniversary by partnering with Seattle's arts community to host four days of, public events and performances. Almost 60 feet of NanaWall HSW60 glass panels are used to create an expansive opening to show off a colorful, suspended, 1,340-piece, 100 foot-long sculpture. The NanaWall unit is weather-resistant and offers flexibility and versatility by creating a seamless flow for visitors to enjoy the beauty of the gardens both indoors and outside. 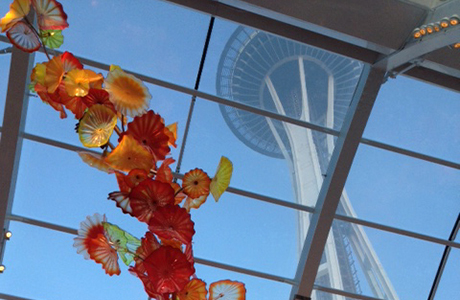 "During my visit to the Chihuly Garden and Glass, I was overwhelmed by the application of our product in such a prestigious project. We're proud that NanaWall Systems is able to open up the space to help showcase Chihuly's art," said Ebrahim Nana, CEO of NanaWall Systems. "This project highlights the NanaWall system's ability to be customized for almost any application, in this case providing unencumbered views and access to the outdoors, including the garden glass exhibits, as well as Seattle's iconic Space Needle." Chihuly Garden and Glass opened at the Seattle Center May 21, 2012 and provides a look at the inspiration and influences that shape the career of renowned artist, Dale Chihuly. 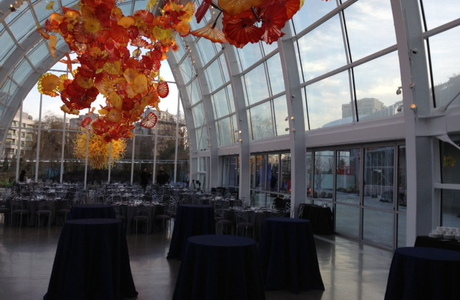 The exhibit is a place for community gatherings and features Chihuly's work, including signature glass pieces, drawings, architectural installations and personal collections.